We believe that there are ideas hiding in your mind, ideas for promoting awareness, helping out, honesty, intelligent voting, alternative classes, micro-financing small businesses, pushing for participation, etc. You name it, we know you have it. We also know that these ideas usually come up while you're hanging out with friends. In any case, drag that idea out of your brain and type it onto an empty white Word File sheet, then email to myidea@rockedphilippines.org --this summer Havaianas gave us the capacity to fund that idea of yours swimming in a pool of beer and college friends' conversations. 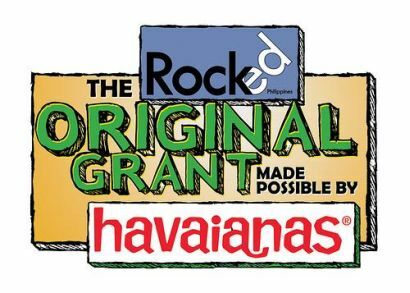 To find out more on how you can get your project funds surf: rockedoriginalgrant.multiply.com and add the site as your contact so we can keep you in the idea loop. This is Rock Ed’s first and probably only grant, we look forward to witnessing your brilliance this summer.